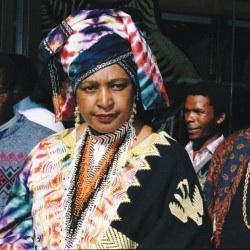 South Africa’s Winnie Madikizela-Mandela has died on Easter Monday, aged 81, her personal assistant said today. Ms Madikizela-Mandela married Nelson Mandela in 1958, six years before he was imprisoned for his fight against apartheid in 1964. Rest in peace, mama. You fought a long, hard fight. No one is perfect, and I think you tried your best. YOU RAN YOUR RACE AND WORN THE WAR MAMA. REST IN PERFECT PEACE IN JESUS’ NAME.